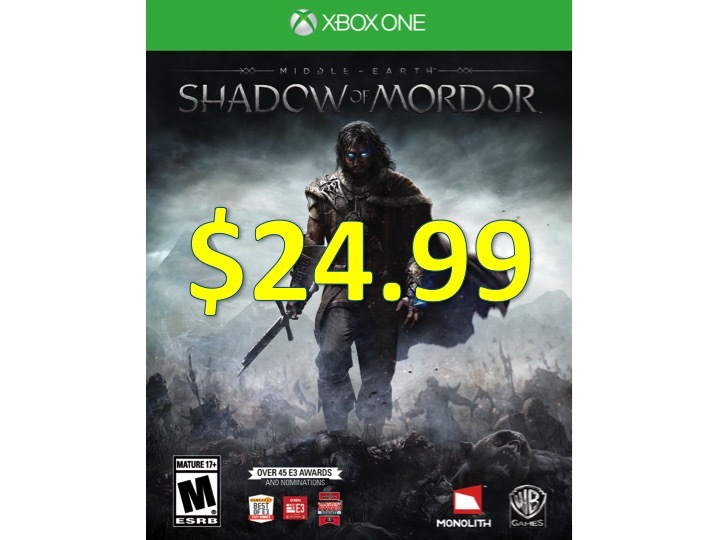 Middle Earth: Shadow of Mordor – Xbox One – $24.99! 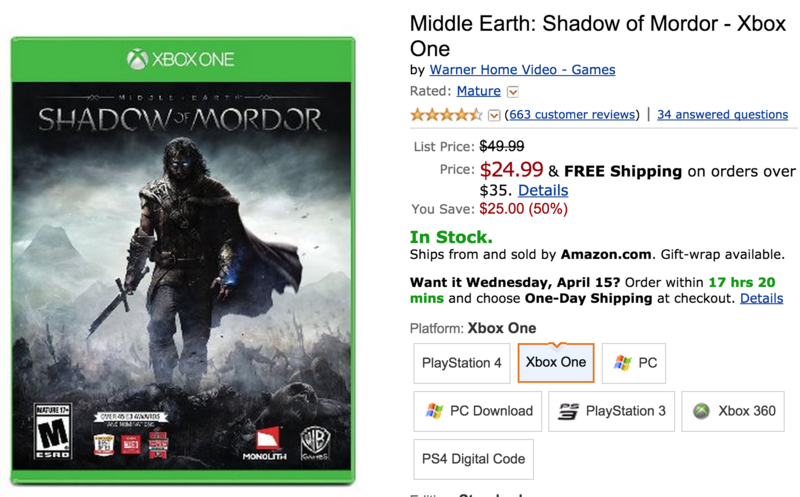 You are at:Home»DEALS»Middle Earth: Shadow of Mordor – Xbox One – $24.99! If you don’t have this game, now is the time to get this game. Middle Earth: Shadow of Mordor – Xbox One is on sale for $24.99 for a limited time! Gamespot has named Middle Earth the Game of the Year for 2014. Middle Earth: Shadow of Mordor received high marks for the nemesis system, enemies will remember previous battles and have scars, control and solid combat, story, voice acting, and overall execution of the game! NOTE: Check out our Top 5 Xbox One Games! Click here to get Middle Earth: Shadow of Mordor – Xbox One now for $24.99!